A Diamond Select Release. Sculpted by Jean St. Jean. 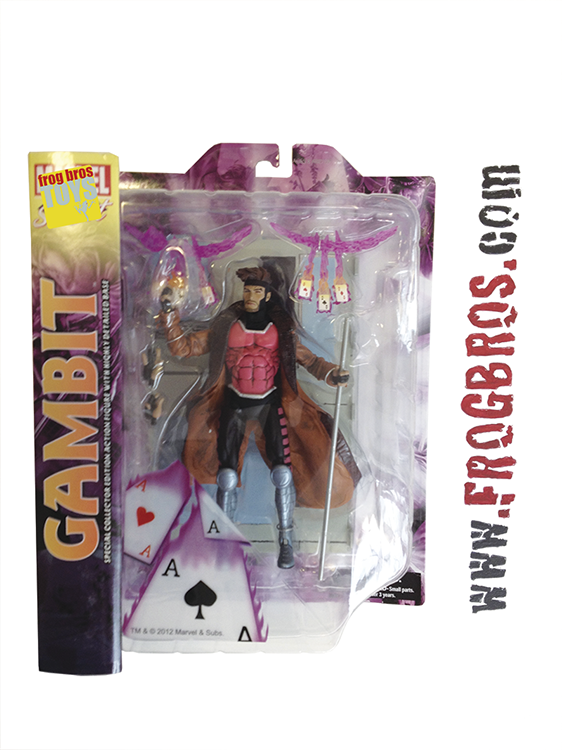 The ranks of the best-selling Marvel Select line expand to include the long awaited Gambit While his debut was shrouded in mystery he quickly became one of the most popular members of the team. Featuring Marvel Select's standard 16 points of articulation as well as multiple hands and accessories. Gambit comes with the same danger room base as Cyclops so you can create a mini diorama.